Cooking scallops is more art than science. I feel like it's taken me years of practice to master the technique of cooking scallops to sear the the outside to caramelized perfection and not over cook them. Voila -- yesterday's lunch for one was divine! 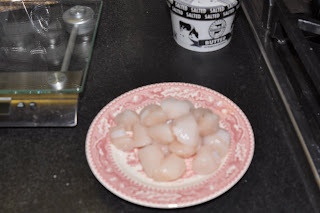 First I started with fresh Peconic Bay scallops from La Pure Vida Fisheries in Hampton Bays (they are at Union Square Farmers Market on Fridays), then I carefully dried them to remove moisture which causes the scallops to steam not sear. I heated a heavy gauge enamel frying pan over medium high heart for 4-5 minutes before adding a generous amount of butter. 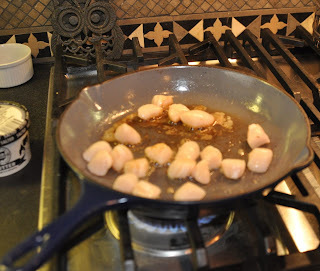 Working quickly and once the butter was melted and bubbling I added the scallops. I left them sear just until the slightly pink flesh started to turn white and get that caramel color on the outside (about 1 1/2 minutes), then quickly turned each one over to cook another minute or so. (BTW -- La Pure Vida's scallops are so fresh, you can eat them raw). To finish, I added a squeeze of lemon juice and a few tablespoons of orange juice. For fun, I served these tasty local treats over some crisp (and spicy) watercress micro-greens that I bought at Two Guys from Woodbridge, a hydroponic farm growing some wonderful tasting and uber-fresh certifed organic greens (their greens last a long time because they are alive because they are still attached to the root ball which is wrapped in plastic with water and organic nutrients). Here's a piece on Pure Vida Fisheries that I found on a market site (Pure Vida is a Hampton Bays Long Island Fishing operation that sells his fresh caught (never farmed) seafood direct to the consumer and only at farmers markets in and around NYC. My kind of fisherman! "Rick Lofstad is a 3rd generation fisherman whose family hales from Norway. With his brother and cousins, the Lofstad family owns 5 boats and harvests 2-3 million lbs. of fish annually. “Pura Vida” translated “pure life” is a 55’ fishing boat. Rick fishes out of Hampton Bays LI. Rick represented NYS on the seafood management boards for 8 years. He was the first person in the US to export fluke to Japan and the first to export whiting to Spain. He formed 2 fishermen's cooperatives which represent 85% of New York’s fish production. All of the fish is wild caught, local Long Island produced seafood and it is caught under permits from the Department of Commerce, National Marine Fisheries Service. 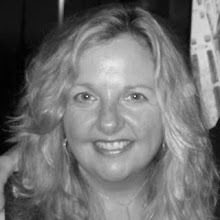 So you can be assured that he is following sustainable practices."